Clyde McPhatter was the original lead singer of The Drifters, founder, and named the group. Ben E King (Stand By Me) was a subsequent lead singer of the Drifters. Both "Saturday night" and "movies" appeared in two of their record titles ! 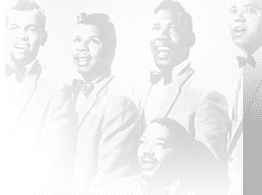 "Half the world" seems to have been a member of the Drifters, at one time or another. The manager owned the name and changed the line-up regularly. There are on-going claims to being "the" Drifters. and in UK many referred to the Drifters as the American Drifters to distinguish them (at least until the name change).